Sorry Rams Fans, but the Patriot’s quarterback knows what it takes to win. And fluoride-free water is one of his advantages; so instead of getting mad, campaign to remove fluoride from L.A.’s drinking water. 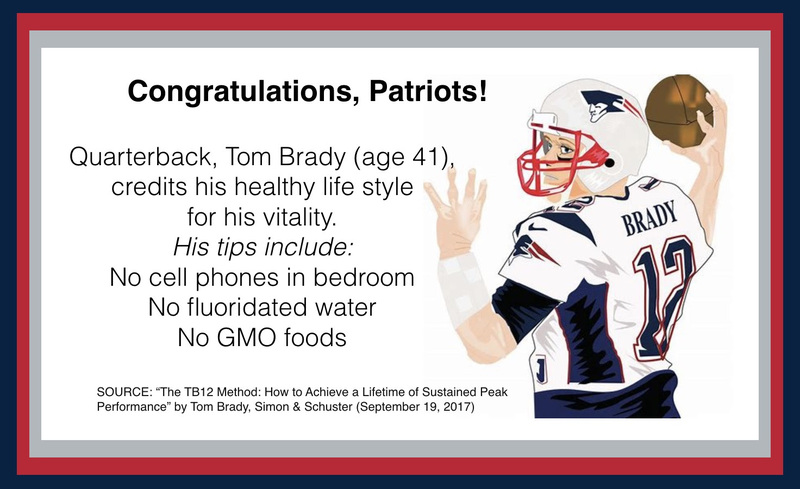 Tom Brady, the star veteran quarterback of the New England Patriots and now 6-time Super Bowl winner, has recently authored a book on staying healthy in which he mentions fluoride in water.